Deciding what to eat on a strict diet can be challenging, especially when the choice is completely up to you. 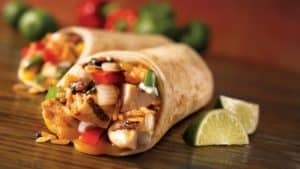 Furthermore, prepping for Keto and low carb diet meals can be very time consuming, making it more tempting to return to your unhealthy eating habits. When dieting gets hard, the fridge runs empty, and you’re not sure what’s for dinner, prepared meal delivery services make staying on track easy and delicious. If you’re looking for the best-prepared meal delivery services for Keto — or any other low carb diet — look no further. What are Keto & Low Carb Diets? The Keto diet, which is short for ketogenic diet, is becoming an increasingly popular method for weight loss and establishing healthy eating habits. The diet is made up of low carbs, which helps people lose body fat effectively. In addition to carbs, Keto diets recommend avoiding foods that contain sugars and starches. Although the Keto diet is being adopted by many people trying to eat healthy and lose weight, it’s not the only low carb diet out there. In fact, there are a multitude of them. However, they all enforce the same guideline: low carbs, moderate protein. Why People Go on Low Carb Diets? Although the primary purpose of most low carb diets is weight loss, people adopt these diets for a variety of reasons. Depending on your goals, there are different types of low carb diets available. However, they all limit the amount of carbs (carbohydrates) you can eat and encourage foods with higher amounts of protein and fats. It has been reported that these low carb diets also provide people with increased energy levels, control hunger and bad eating habits, and even headaches and migraines. If you are following the keto diet, there are few prepared meal delivery services that fully understand the needs of this diet and offer a great, diverse and innovative service to make your day-to-day eating life healthy, super easy and delicious! 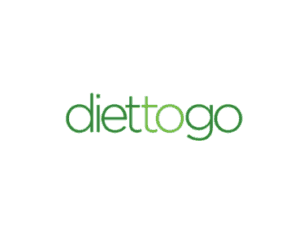 Diet-to-Go makes low carb dieting easy through their personalized menu options, flexible delivery, and delicious chef cooked meals. Not only does Diet-to-Go make staying on your diet easily, but it also gives you the motivation to keep going. When you order from Diet-to-Go, you get free access to a health coach who can give you advice personal for your goals through phone or email. 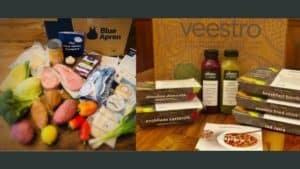 Delivered weekly, your meals require no prep time, hunting for rare ingredients, or loads of your time. 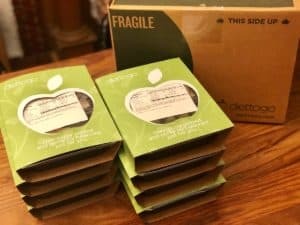 Factor75 delivers some of the best low carb Keto meals to you completely fresh and never frozen. Made from scratch by their chefs, all that’s left for you to do is heat it in the microwave or oven to enjoy your healthy meal. The menus rotate weekly, meaning each week you get multiple new options and never get bored eating the same food. Each meal on the menu shows you what type it is. Many of them include 2-3 features, such as being Keto, low carb, and dairy free. Breaking bad eating habits can be hard, especially when it demands valuable time out of your day. But with meal delivery services, you get the luxury of having your meals delivered, resulting in a healthier and happier you. At this point, you might be wondering what the difference is between the Keto diet and other low carb diets. With such a wide variety of diets to choose from, it can be difficult to differentiate the do’s and don’ts of each, as well as what makes one better for you than the other. While any diet considered to be “low carb” emphasizes the restriction of carbs and the intake of proteins and fats, each one allows different types of foods and different quantities — in the end, this is what makes them different. Each one has a different set of “rules” regarding the intake of carbs, proteins, and fats. For example, the Standard Ketogenic Diet recommends 75% fats, 20% proteins, and 5% carbs. The Cyclical Ketogenic Diet incorporates days where the person is allowed 2 “high carb” days after following the Standard Ketogenic Diet for 5 days. When on a strict diet, cooking the right kinds of meals from home can be difficult, expensive, and time-consuming. Not to mention, hunting down the right diet friendly ingredients at your local grocery store can be a nightmare. Living a healthy lifestyle shouldn’t feel impossible, but let’s face it — we all have lives other than cooking and meal prepping. The solution to this problem: prepared meal delivery service.